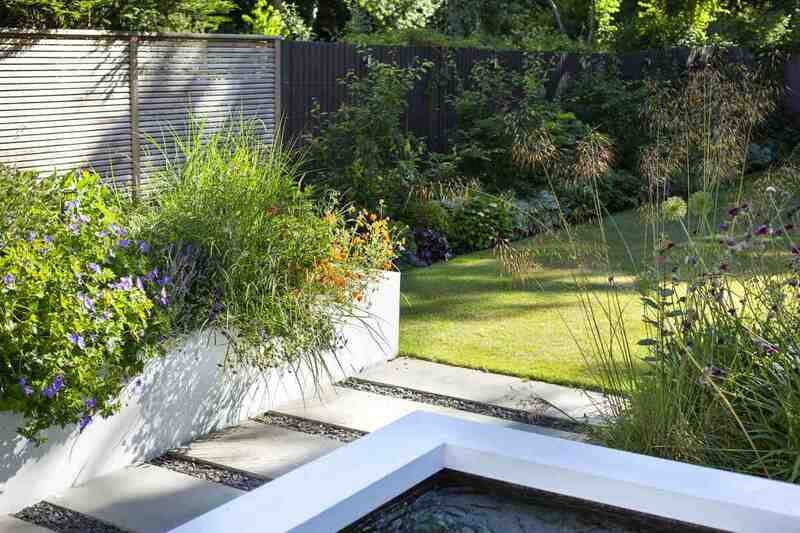 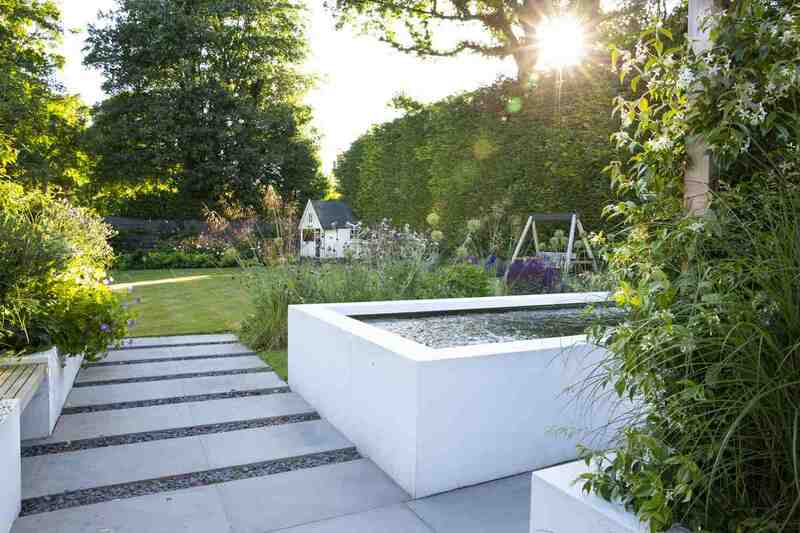 The brief for this garden was to create an easy to care for garden that made the most of the pre-existing large but worn out lawn, and that made an entirely new seating/dining area near to the house. 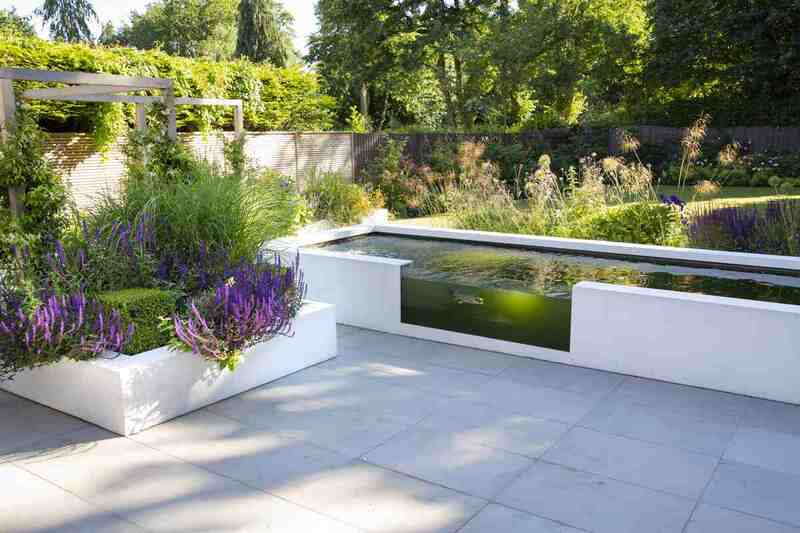 This was to have a different, more contemporary feel, and needed to accommodate the client’s koi carp! 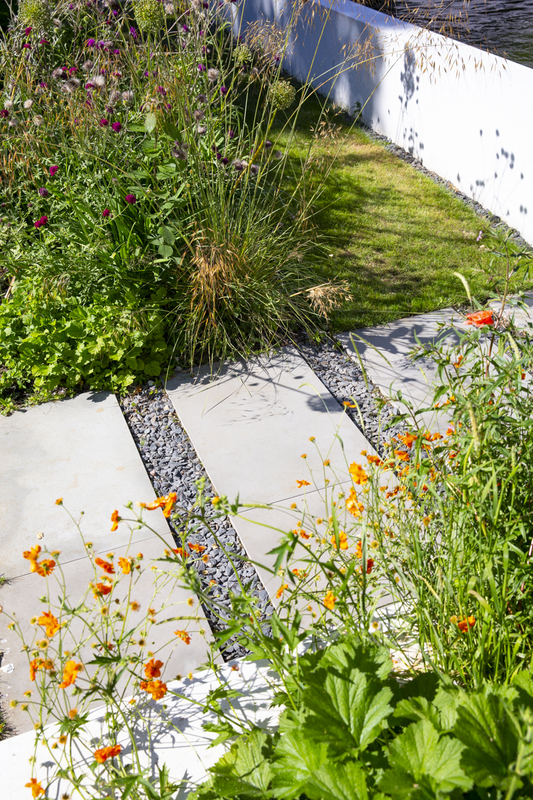 The project was made more complicated by the tonnes of concrete a previous owner had poured around the house, meaning the beds had to be built up. 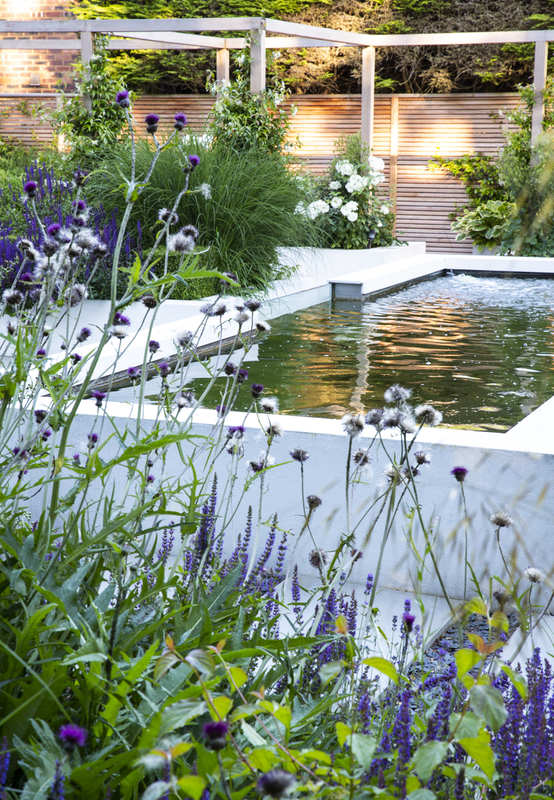 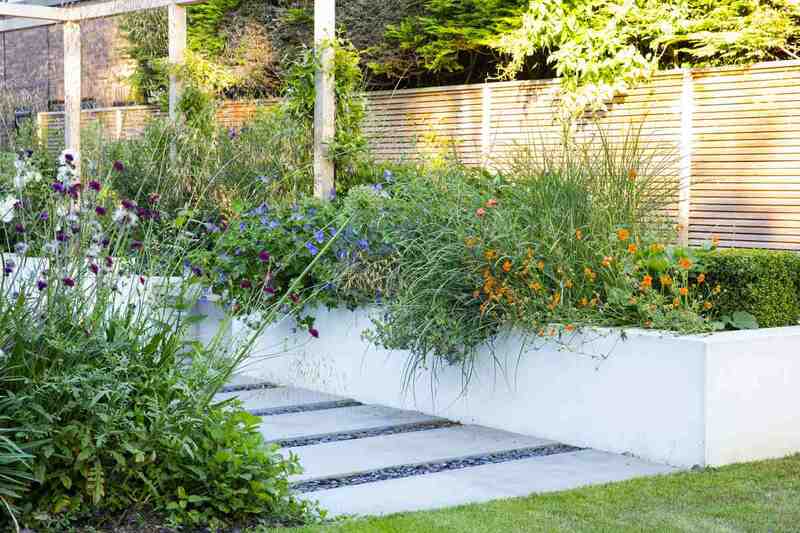 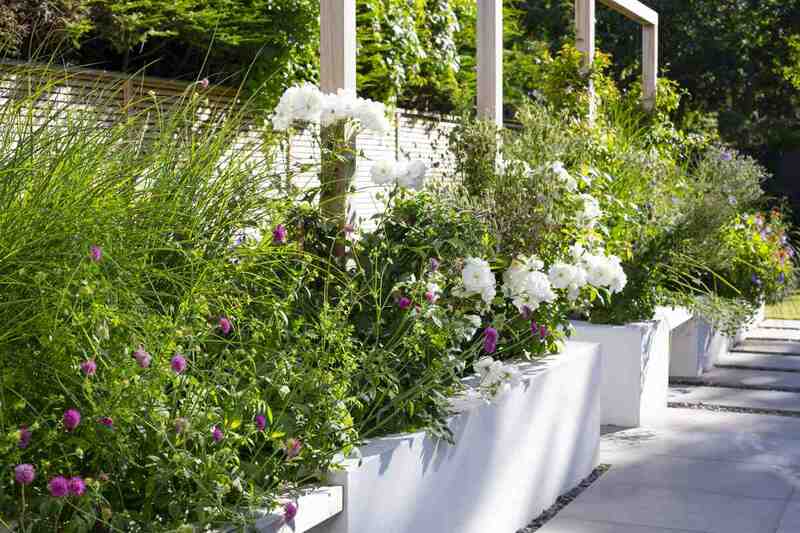 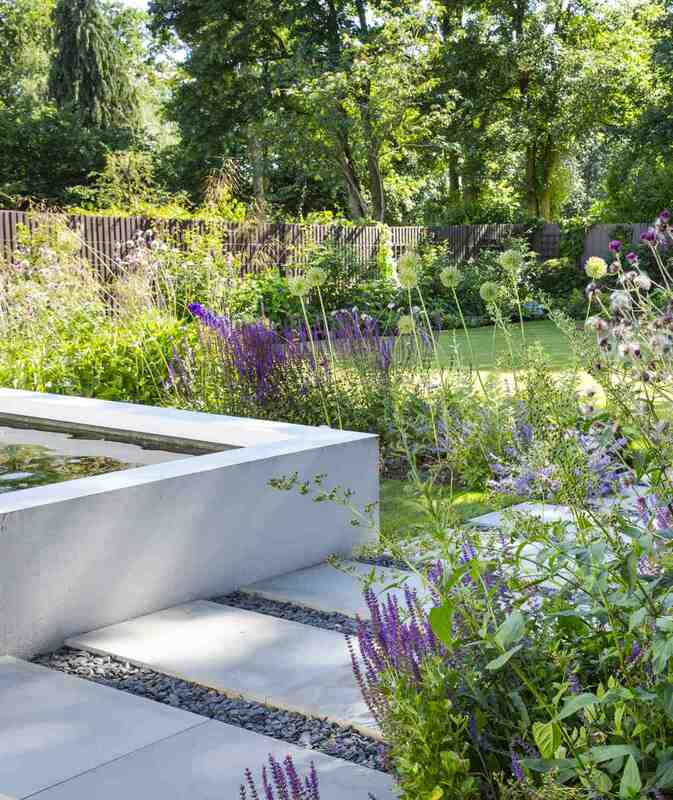 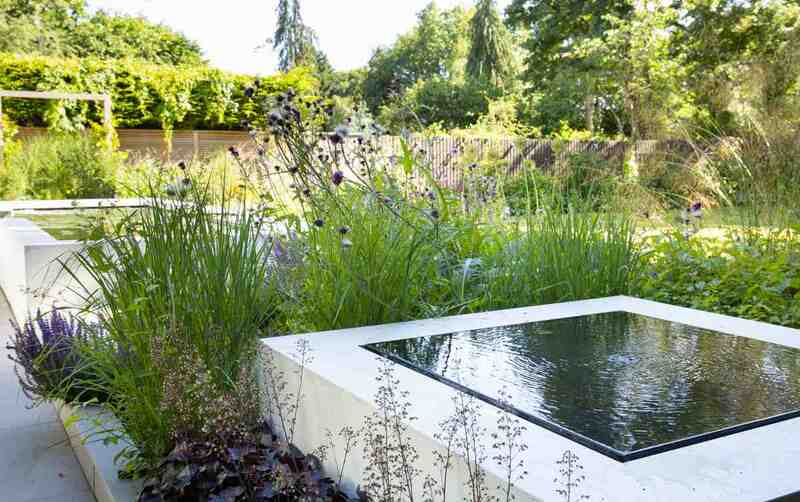 The resulting garden has two distinctly different areas with contrasting but complimentary aesthetics; updated country garden and contemporary space.